Home Computer Help What is best for you: Desktop, Laptop or Tablet? With ample choices for computing needs several consumers find themselves confused on what to buy. 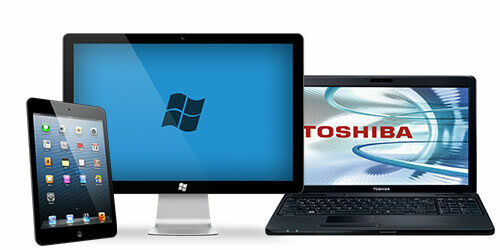 So let’s start to determine which is best for your needs: Desktop, Laptop or Tablet? It’s best to start out by determining your budget, required specifications for specific software and desired options. Followed by answering a few simple questions to help determine what computing system will best suit your specific needs. I recommend purchasing computing systems with the maximum amount of RAM possible and ones that offer expandable RAM, so you can add additional RAM in the future. RAM (Random-access memory) is one of the main components that gives a computer speed. Other major considerations are usability/durability (check all the reviews you can find), processor speed, and hard drive size. I hope that helps determine which best suits your needs: Desktop, Laptop or Tablet?